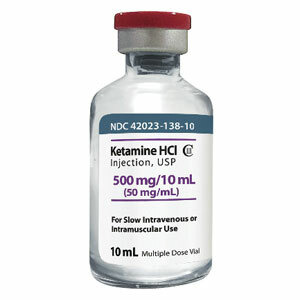 KETAMINE is a medication used mainly for starting and maintaining general anesthesia. Ketamine makes the animal fall asleep and at the same time provides pain alleviation. It had actually been the only type of general anesthesia that was used in the Russian veterinary service during animal surgeries up until it was banned by 2003. The reason behind the ban was that Ketamine is also a powerful recreational drug. Prior to 2003, Ketamine was legal in Russia and was one of the most marketable drugs. But in July 2003, after creation of the Federal Service for Drug Control, several criminal cases were initiated against veterinarians, who were threatened with imprisonment of 7 to 15 years just for possession of the anesthetic. Many Russian veterinarians got frightened of this new wave of prosecutions, and either refused to take animals in for surgeries that required general anesthesia or started to use surrogate anesthetics that did not provide adequate help. The French drug Zoletil was offered as an alternative, but it contained a vast list of contraindications. It was quite toxic and, therefore, could not be used for many groups of animals, not to mention, it was much more expensive. This resulted in termination of many sterilization programmes for stray animals in Russia, because sterilization requires abdominal surgery under general anesthetic. This was followed by a huge public outcry, which included 22 protests around the country, a rally in Moscow, hundreds of television programmes and articles devoted to the topic, countless appeals to various authorities, 12 conferences and support from celebrities. Eventually, this led to legalization of Ketamine in September 2004, but under conditions that rendered it virtually impossible for use by Russian vets. It was imposed that only legal entities could use Ketamine, when in reality 75% of veterinarians in Russia are self-employed, especially in rural areas. The vets required to adhere to strict conditions for safe storage, including requirement for alarm and security systems. An isolated room for storage of Ketamine should have been planned into the building design before the actual construction. Additionally, the law prohibited to take out the medication to surgeries outside of vet offices, e.g. for animals injured in outdoor accidents. The Big Hearts Foundation is an active participant of the working group “On improving the regulatory framework in the field of veterinary medicine” established by the Russian Ministry of Agriculture. As a result of its work and the active support from the Veterinarian Union, Ketamine 10% produced by Bela-Pharm GmbH & Co.KG (Germany) became approved by the Russian government in October 2014. This was a very important achievement, because had not the drug been approved and registered in the country as veterinarian medication, none of the vets, according to the Federal Law №61 «On Circulation of Medicines”, would be permitted to work with it. But still, most of the veterinarians in the country are not allowed to use this type of anesthesia, as according to the Federal Law “On Narcotic Drugs and Psychotropic Substances” the government issues licenses for Ketamine only to approved and registered veterinary clinics. So far only six veterinary clinics in the country have been able to acquire these licenses. And even these clinics have been unable to use the medication, as two extra measures imposed by the Ministry of Agriculture are required to be taken prior to working with Ketamine: special conditions for storage of Ketamine and its usage standards. This is why the Big Hearts Foundation continues lobbying and supplying the government with information so they could ease the legal requirements for vets. In particular, we are working on helping the Russian Ministry of Agriculture to develop fair legislative rules to get rid of the punitive licensing fee, which is unaffordable to most vets, and the “iron gate” requirement for the Ketamine storage. To do this the Big Hearts Foundation is translating the European legislation and rules to showcase the best world practice in this area to the Russian government. We aspire to demonstrate that the existing rules for Ketamine in Russia are too strict and don’t allow vets to realistically use it, which consequently causes animals too much pain. This situation gets even more urgent as the price for the imported drug Zoletil rises annually and with the current decline of the rate of ruble becomes more and more unattainable. Please support our lobbying and legislative work to stop animal suffering!